Watch this video to see how easy it is to locate your next scaly friend. 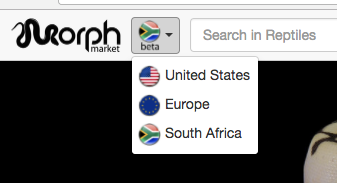 MorphMarket has USA, Europe, and South Africa regions. Shop the region nearest you to minimize shipping costs. Touch the flag image in the upper left corner to change regions at any time. Viewing an ad in a different region may cause you to cross over to that region as well. You can order from any foreign seller who provides international export, but shipping can be expensive. Find exactly what you want with advanced search . Watch how simple it is to find a 3+ gene male Kingpin Ball Python. Because MorphMarket understand reptile genetics, searches for "King pin" and "lesser pinstripe" will both find a Queen Spin Ball Python. Try other examples: 2+ gene IMG Boa Constrictors, or least expensive male visual Albino Balls less than $300 USD. Shows number of available morphs for sale with each gene. Click on any number or gene to search. 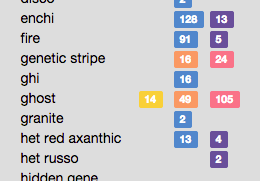 Traits throughout the site are color-coded by trait class. For example, browse Balls, Boas, or Leos. Mobile friendly - no pinching and zooming. 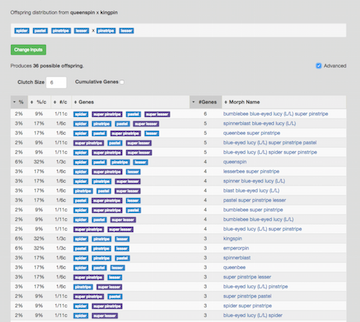 Auto-complete inputs for parents rather than choosing from long lists of genes. Enter single or multi-gene trade names. Produces more concise and useful visual/possible het outcomes. Offspring stats in interactive re-sortable table. Advanced stats like # expected based on clutch/litter size and cumulative gene counts. Don't buy from anyone on the internet without first doing your research. MorphMarket Ratings is the first place to start. Both buyers and sellers can build a reputation that gives confidence to everyone involved. The format is brief and to the point, but allows linking to third party forums for more detail. Our system promotes authenticity by only allowing Ratings on confirmed transactions. 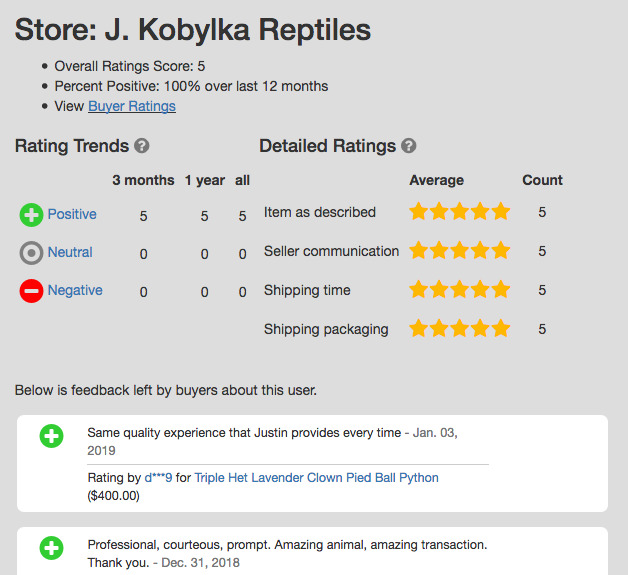 It's never been easier to list your herps for sale. Watch me list 10 ads in 30 seconds. We have a whole set of short video tutorials like this one to help you sell like a Pro. Here's how to Start Selling today. MorphMarket is specifically built for buying and selling designer animals, which makes its search much more powerful than other classifieds forums or generic e-commerce sites.